The Dugald Consolidated School District No. 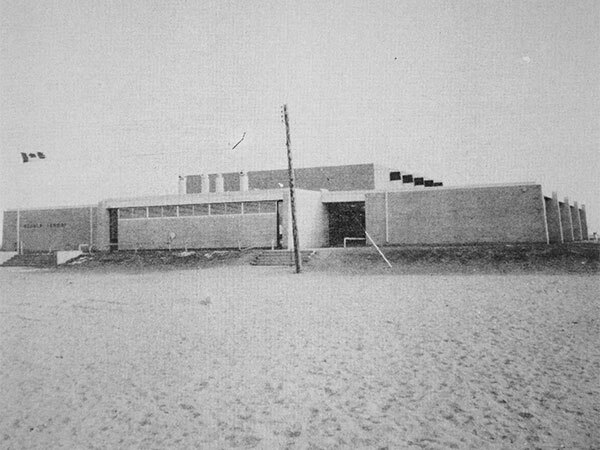 2427 was established in January 1964 and a large new school built in Dugald that year. Classes began here in fall 1964 and the school was officially opened on 12 March 1965 by Dr. Roy Tavener, a former pupil of Dugald School. The district became part of the Transcona-Springfield School Division in 1967. In 2001, it was incorporated into the newly established Sunrise School Division. As at 2017, the school operates as Ecole Dugald School, a dual track English/French facility. A bronze plaque within the building commemorates Robert Barry Findlater, the school’s first Principal. Source: Archives of Manitoba, Manitoba Local Government Boundaries Commission, File 94 Dugald Consolidated. Springfield, 1st Rural Municipality in Manitoba, 1873-1973, Dugald Women’s Institute. Manitoba Local Government Boundaries Commission, Schools in Manitoba - Volume 2, Dugald Consolidated School - File 94, March 1968, Archives of Manitoba. Manitoba School Records Collection, Dugald School District No. 80 - Daily Registers, GR9480, Archives of Manitoba. Manitoba School Records Collection, Dugald Consolidated School District No. 2427 - Daily Registers, GR9480, Archives of Manitoba.